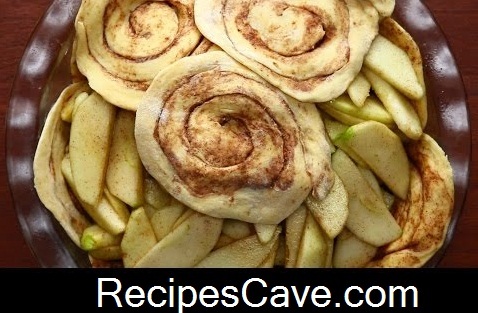 Cinnamon Roll Apple Pie Recipe - Best Fruit Recipe collection available on Recipes Cave, today we are going to share apple pie recipe. You will be happy to see that this apple pie recipe is contains cinnamon roll that delicious to taste. Just follow these bellow simple steps to cook cinnamon roll apple pie. Here is what you'll need to cook Cinnamon Roll Apple Pie to serve 10 peoples. your Cinnamon Roll Apple Pie Recipe is ready to taste.